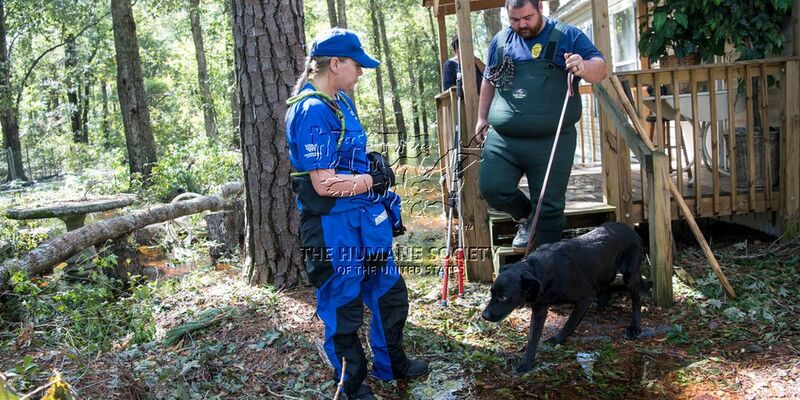 The Human Society of United States Animal Rescue Team and the San Diego Humane Society rescue a dog in South Carolina after Hurricane Florence. MYRTLE BEACH, SC (WMBF) - More than 50 animals have been rescued by the Humane Society of the United States’ Animal Rescue Team in Horry County in the wake of Hurricane Florence. The organization said that though the storm has passed, the flood waters are rising and imperiling animals and they are here responding to the needs of animals. WMBF will be meeting some of the animal and their rescuers on Tuesday and will have that story during the nightly news.